Meals on Wheels of Greater Lynchburg provides hot meals 5 days a week to people homebound as well as food for their pets. They are not funded by the government of by any particular organization but work with collaborating partners in the community. 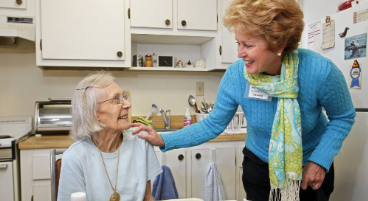 QMPC is involved through financial support, volunteers who take meals to those in need. Also, we have had a member of the Art Class’ work that meets here at QMPC featured on one of their Meals on Wheels fundraising cards.